We will all face difficult times in a changing world. 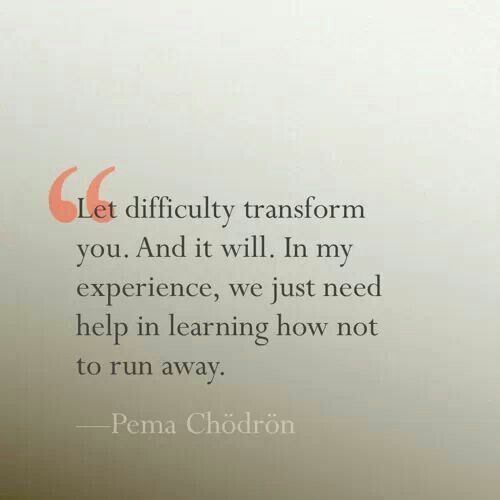 Difficulties are a major part of how we learn. If we are afraid of struggle and change, we are less likely to learn. We hold back, we push back, and we get run over by the trials we cannot stop. If we accept the challenge, lean into it and grow, we can transform into something stronger and better. We can come out the other side of difficulty and make a better world.